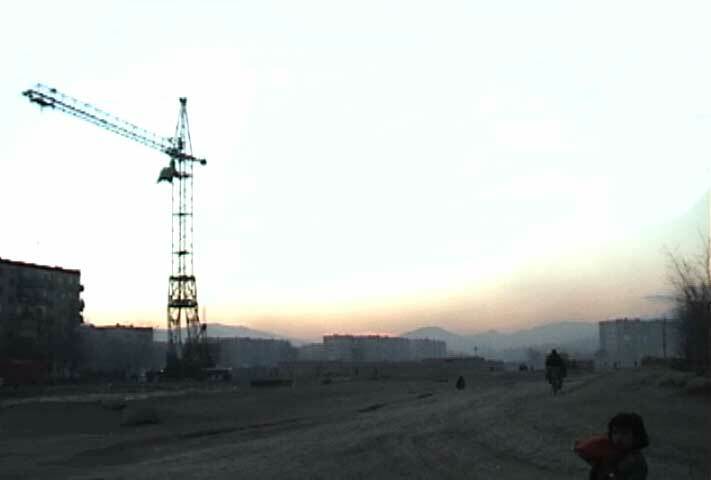 The recent land grab scandal has drawn attention to the acute housing crisis in Kabul, which has been precipitated by the current flood of returnees. One of the solutions now being proposed to this crisis is the construction of new housing projects, bloc-style apartment buildings of the type familiar to students of post-war architecture all over the world. 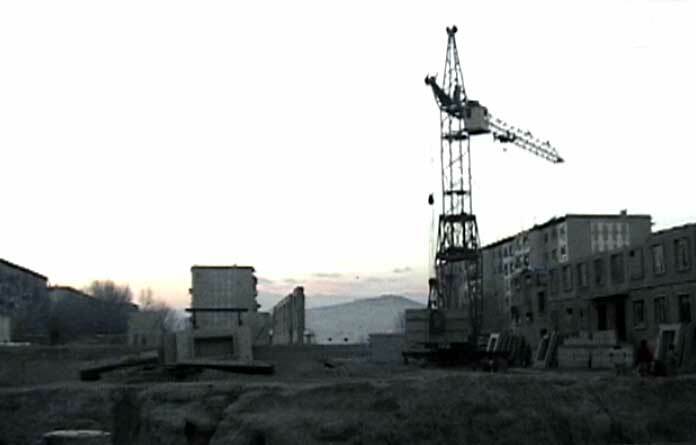 One massive housing project of this type, the Macro Rayana, was actually built -- although never completed -- during the period of the Soviet occupation of Afghanistan. The cranes you see in these video stills do not mark an active construction site; rather, they've been propped up against the buildings (which are occupied to capacity despite some apartments' lack of basic facilities) for upwards of 11 years. As of the most recent reports, the interim government had no plans to finish the Macro Rayana project before embarking on the construction of new housing developments. Of course such a renovation would be made difficult by the fact that the Macro Rayana apartments are now so prized -- renting in the current market for as much as $1000/month, rumours go -- that it would be difficult to persuade residents to give them up even temporarily.